I moved into an RV and I was trying to put my pots and pans away in the tiny kitchen. My new home was in a rural neighborhood, as if it were an ordinary house with a white picket fence and front lawn. It was midday and I just remembered I still had to shower and get ready for work. I knew I had to leave soon and began to worry that I would be late. I told myself I would unpack for a few more minutes and then quickly shower. Outside my RV in the distance, I heard strange humanlike moaning sounds. I looked out the window and saw a swarm of zombies slowly dragging their feet down the street in my direction. For whatever reason, I thought the best thing to do was to go outside. The next thing I remember, zombies trying to attack me surrounded me. A nearby, uninfected friend threw me a gun. 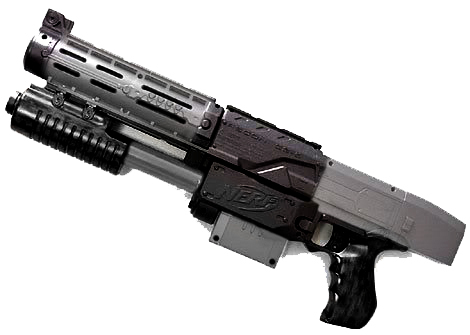 This black and gray Nerf gun looked like a compacted shotgun. I cocked my gun and began firing at the attacking zombies. The blue, laser bullets exploded out like a machine gun. I wasn’t scared. Shooting the zombies was fun, like a video game. After ten minutes, I yelled over to my friend, “O.K. I have to get back inside! I need to get ready for work” She helped me make my way to my front door by shooting the zombies and clearing a path in font of us. I continued to shoot them from behind to keep us safe. Just as I opened the door, I woke up.